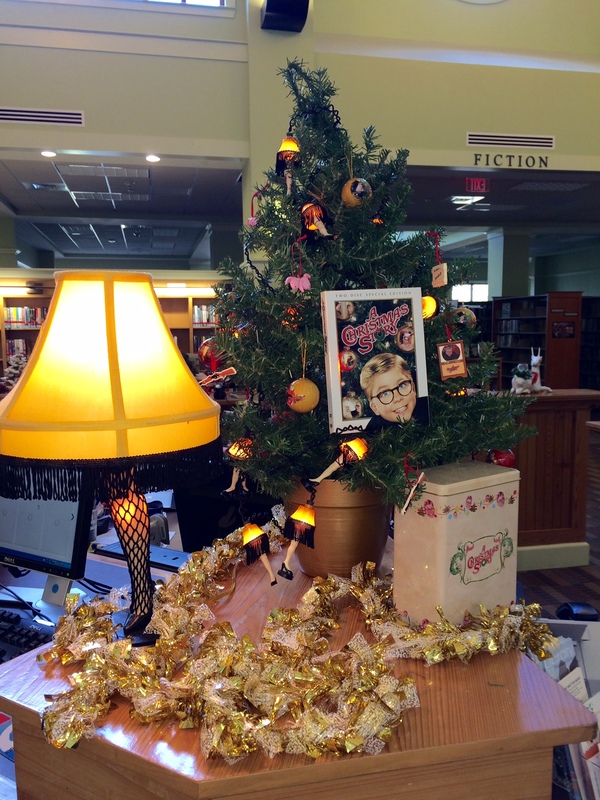 This entry was posted in amputee, holiday, library, public library and tagged A Christmas Story, amputee, book tree, Christmas photo, display, holiday., Josh Sundquist, Leg Lamp, leo bonten, Pat herndon, Stump, Stump the Librarian by asamryfhpl. Bookmark the permalink. I’m guessing 436 items. And I love the lamp leg. 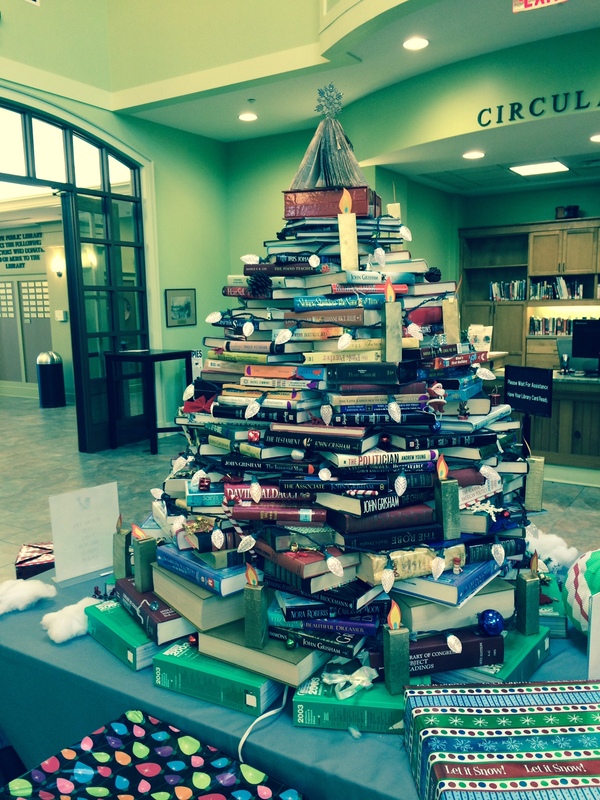 Alan, how creative you are!!! 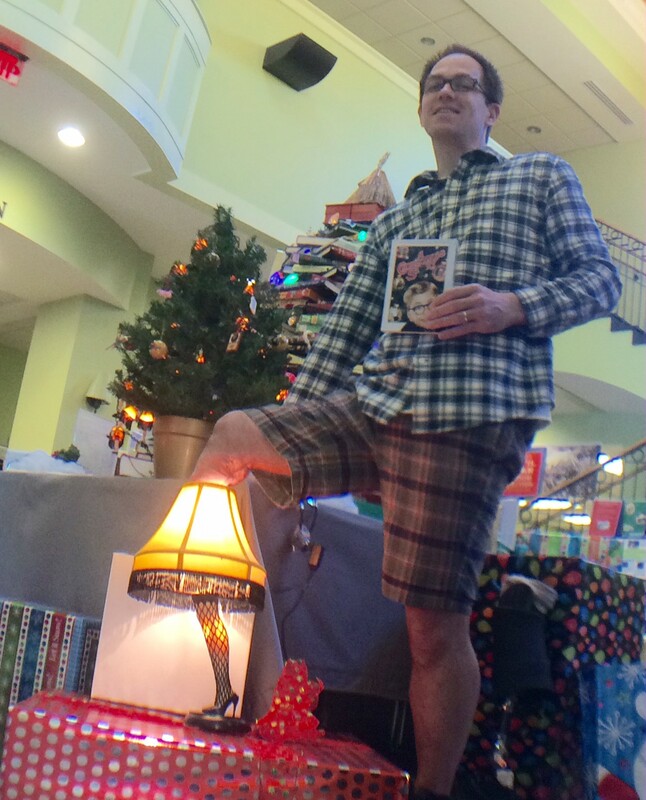 I love the Christmas Story and especially that leg lamp! Too cute!